The SRM PowerControl Aero TT Handlebar Mount works with all SRM PowerControl 5, 6, 7 or 8 head units and fits 22.2 mm TT extensions. 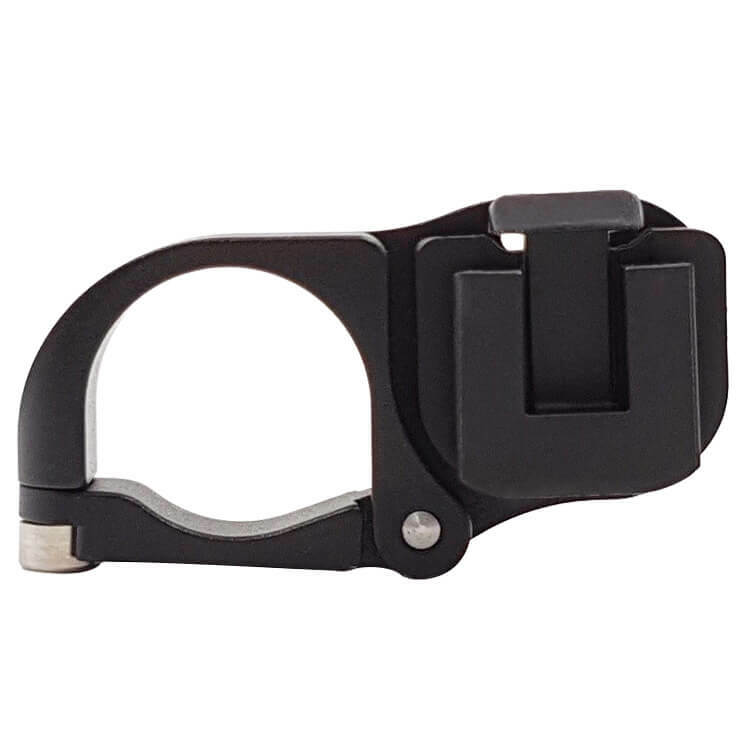 The SRM TT mount uses an aluminum clamp and plastic dovetail with a safety clip. This ensures the PowerControl head unit remains secure and in place.